Contact About Shop Studio KMLM Nashville Sampling co. I am lucky to get to travel a lot of different places, and New York is definitely one of the best. Last weekend we played the Global Citizen Festival in Central Park, and while I was there a visited a few of my favorite NYC spots. First of all the best thing to do is put on headphones and just walk... It is the most unreal experience to just observe the city. And of course, there are so many great restaurants and hang outs that you could never run out of places to check out. Halal stands (street meat) is some of the most amazing food. For Thai food a there's a place called Room Service; They have the best curry you have ever had. There is a taco place called Blockheads where you can sit outdoors, and the food is awesome. There's a dessert place in Soho is called "Rice to Riches" where they serve rice pudding, which sounded gross to me the first time but is truly one of the greatest things ever! There is something about being in Manhattan and taking the subway to Brooklyn or Queens... there is always a humm, a noise in Manhattan, but as soon as you come up from the ground in Brooklyn there is almost an eerie peace. 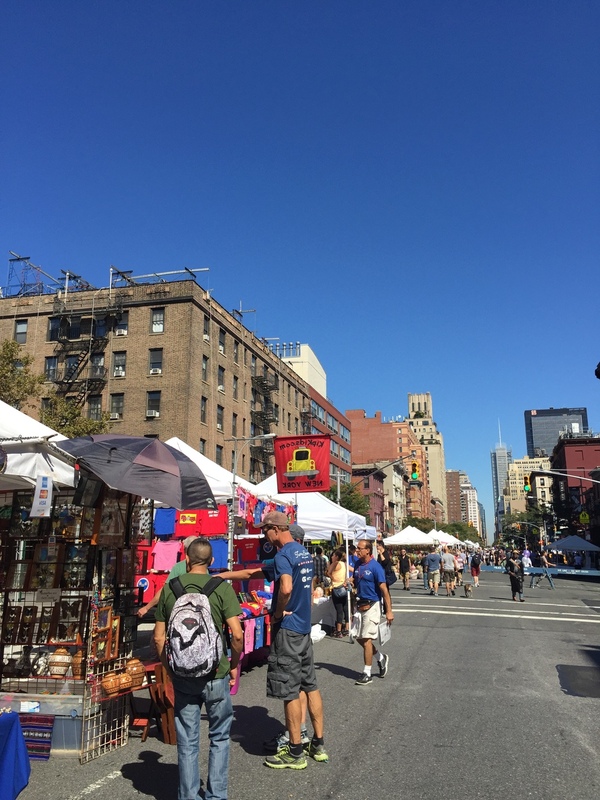 There are so many street markets and amazing flea markets in Brooklyn as well as on the Lower East Side. Another thing I love is going to the High Line, an old railroad track that is elevated above the city, and it is the most amazing place to go walk or sit or grab food. Central Park is like a beach in the summer with people laying out all day. They basically go there on there lunch breaks, take off their suits and lay out, then put there suits back on and go to work. Central Park is rad cause you can walk forever and always seem to find something new. One year for New Years we went into the Park and found a huge rock where no one else was. A bunch of us sat around and watched a fireworks show. Off in the distance you could hear the roar from Times Square, yet it was so peaceful where we were. Check out some pictures from recent trips to New York.